Heartburn is something that most adults will experience during their lifetime. It is characterized by an uncomfortable burning sensation right behind the breastbone that often times creeps up the throat, and is a symptom more so than a disease. It is caused by acid reflux, which occurs when the ring of muscle that allows food into your stomach (the lower esophageal sphincter, or LES) relaxes when it shouldn’t. The result is acid from your stomach goes back up your esophagus, which then causes the sensation of heartburn. Think about it…its acid burning your throat…ouch! It’s actually possible to have reflux without heartburn, but it is not possible to have heartburn without reflux. While over-the-counter and prescription medications are available, if you suffer only from occasional heartburn, lifestyle changes and heartburn home remedies may be the route you want to take. Mix either a ½ teaspoon or 1 single teaspoon of baking soda into a glass of water that is no more than 8 ounces. Give it a good stir and drink all of the mixture. You can repeat this as needed but should not exceed seven ½ teaspoon doses in a 24 hour period. Also, avoid using this as a remedy for more than a week straight, as it is high in salt and can have side effects such as swelling or nausea. Aloe is a plant used to soothe burns, and people often think of using it to help something like sunburn, but it can do more than that. It may be able to help with heartburn too because it reduces inflammation. This means when your tummy starts getting irritated and inflamed, or your esophagus is getting eaten away at, a nice glass of aloe vera juice may be just the thing to help calm it down. Drink a ½ cup of aloe juice, cool or room temperature, before meals. Keep in mind that aloe can act as a laxative, so unless you’re looking to fit in a few extra bathroom Sudoku puzzles, look for a brand that has the laxative component removed. The Journal of Dental Research conducted a study that showed people with symptoms of gastroesophageal reflux disease (GERD), or chronic heartburn, experienced relief when they chewed a piece of sugar-free gum for 30 minutes after a meal. This is because chewing gum stimulates the salivary glands, and increases the flow of saliva. Any acid that has built up in the gut is diluted and washed away or cleared out more quickly. The clearance of acid then improves the symptoms of GERD. It is possible that the same school of thought could be applied to occasional heartburn as well. It’s our regular saliva that we swallow that actually makes normal bouts of reflux here and there completely painless. After a meal, pop in a piece of sugar-free gum and chew for 30 minutes to help ward off heartburn. Heartburn tends to get worse at night, thanks to the fact that you’re lying down when you sleep. Gravity works against you, and it’s easier for the digested contents of your stomach to back up into your esophagus, along with acid. Try elevating your head about 6 inches when you sleep by placing bricks, books, or blocks under the legs at the head of your bed. You could also try a wedge-shaped pillow under your mattress, but don’t simply pile up extra pillows as it’s easy to slip off of them at night. Don’t lie down within 3-4 hours after eating, because lying down with a full stomach makes stomach contents press harder against your lower esophageal sphincter. Watch how you eat: Don’t inhale giant mouthfuls of food. Take smaller bites and eat slowly, allowing your stomach time to digest and without giving it an excuse to pump out excess acid. Watch when you eat: Don’t eat within 3-4 hours before bed. Lying down puts more pressure on your LES and increases the likelihood of acid sneaking through. When you have acid burning your esophagus, it seems quite counterintuitive to ingest even more acid. In many cases though, acid reflux is caused by having not enough acid in your stomach, rather than having too much, as over-the-counter or prescription “acid blockers” imply (although that can also be the case, among other factors.) It is the acid itself that tells the lower esophageal sphincter to tighten and close off. If you don’t produce enough acid, your LES is going to think it’s no big deal to loosen up for a little bit. Then of course, you get a reflux of acid into your esophagus. If you think this may be your case, try drinking some pure, raw, unfiltered apple cider vinegar to see if this prevents your reflux, or cuts it off. Mix 3 teaspoons, or up to 1 tablespoon, of apple cider vinegar into 6-8 ounces of fresh water, and drink. You can do this before each meal (probably the most effective,) before bedtime, or 2-3 times during the day. If you feel is worsens your reflux, do not continue to ingest it. Too much may also contribute to the problem. Bananas contain natural antacids that can act as a buffer against acid reflux. If you want to try out the simplest home remedies for heartburn first, try letting a few bananas ripen up nicely and eating one every day. Another option is to try an apple a day. Slice one up and eat it a couple of hours before bedtime to relieve or prevent discomfort. 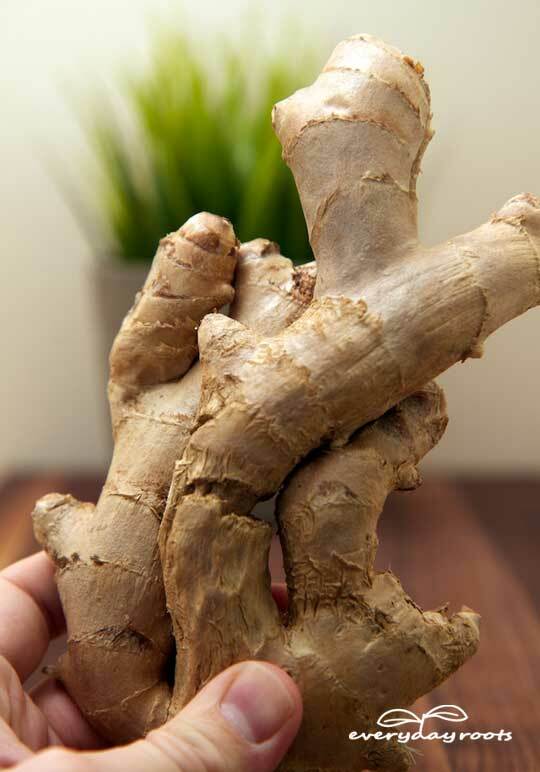 Gingerroot can help ease up a number of stomach woes, from nausea to acid reflux. Sipping a cup of fresh tea about 20 minutes before a meal can help calm down your tummy and act as an acid buffer. Slice up 3 quarter sized pieces of gingerroot and simmer gently in 2 cups of water, covered, for 30 minutes. Remove the ginger pieces, or leave them in, pour into a glass, and drink all of it about 20 minutes before a meal. 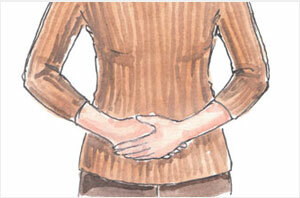 Things cinched tightly about your waist or middle can worsen heartburn. 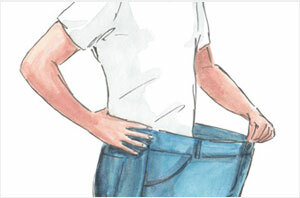 If you have super tight jeans on, when you sit down, the waistband is going to sink into your abdomen region. Same goes for tight belts-and even shirts can be a problem for some. This is because all of the above puts extra pressure on your lower esophageal sphincter, which make it more likely stomach contents, will push through and you’ll experience reflux. Smoking cigarettes and drinking alcohol can set you up for terrible reflux. The nicotine and alcohol both work to weaken your LES, making it that much easier for stomach contents and acid to splash up into your esophagus. Alcohol is also going to irritate your stomach in general. The solution? Quit smoking, and drink less (if at all.) Doing both will improve your health overall, in addition to relieving acid reflux. Being overweight increases your risk of GERD, and you’re going to suffer from occasional heartburn a lot more as well. This is because unnecessarily added pounds will put pressure on your lower esophageal sphincter. It will be more likely to loosen, and overtime it may simply weaken. Mustard is an alkalizing food that is full of minerals, and contains a weak acid in the form of vinegar. Consuming mustard straight, while it may make you grimace at first, may ultimately end up making your smile. Because of its alkaline properties, it will help neutralize the acid that may come creeping up your throat, and therefore may neutralize the pain of acid reflux. It seems to be the most helpful if you’re feeling a bout of heartburn creeping up, or if you’re in the midst of one. Muster up some courage, and just take that little sucker straight. A natural remedy for heartburn from Reader’s Digest, eat some almonds after every meal, every snack, every time you ingest something basically. Try to track down organic almonds if possible. These tasty nuts do something to seemingly neutralize the juices in your stomach, relieving and preventing some instances of heartburn. 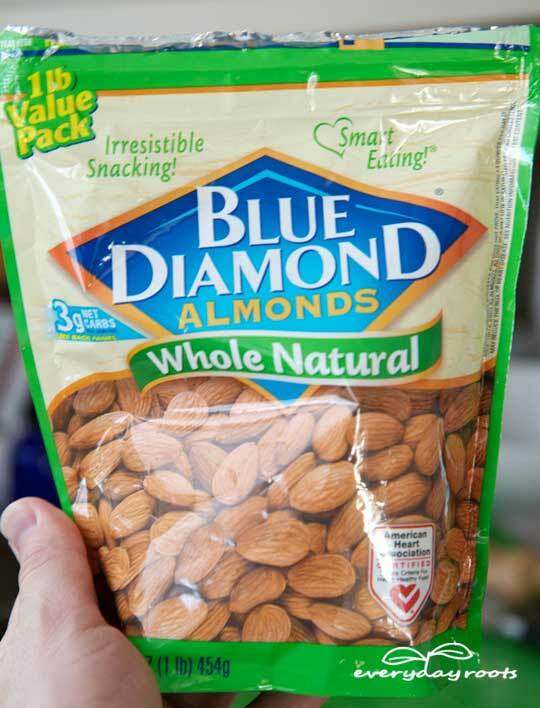 Directly after every meal, every snack, basically every time you ingest something, eat 3-4 almonds afterwards. There’s no need to eat more, unless of course you want to munch on some more, but keep in mind that in excess some people have found almonds trigger heartburn, kind of like how they help tension headaches but can trigger migraines. Having a spot of chamomile tea about ½ – 1 hour before you plan on going to sleep can help reduce inflammation in your stomach, and possibly balance out the acidity levels as well. It also does wonders for relieving stress, which can trigger acid reflux, and will help you sleep through the night as well. 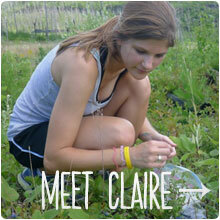 You can use instant chamomile tea, or you can easily make your own fresh. Boil one cup of water in a cooking pot, and then reduce the heat. Stir in 1 teaspoon of dried chamomile petals, and let them simmer for 45 seconds. Remove from heat and let the petals soak for another minute or two before straining them. Pour the tea into a mug, and add a bit of honey or lemon if you wish. When I was very young, around 5 or 6, I remember hearing my babysitter talk about heartburn, and I was horrified. I asked her if it meant your heart was on fire and she said “yes.” I paused and then said “like, there are actually flames around your heart?” My babysitter nodded solemnly. Now, of course, I know better than that, but it’s still called heartburn for a reason. The searing, burning, pain does indeed feel like someone lit a fire in your chest, and let the flames spread to your throat. Certain medications may quell the discomfort, but they can have long-term side effects, create dependency, are hard on your system, and often times aren’t even necessary for occasional acid reflux. It may be awhile of trial and error when using natural remedies to find what works best to treat your heartburn, but in the long run, it’s well worth it. P.S. Click here to download my free Coconut Oil eBook. It has over 107 everyday coconut oil uses, including uses for- weight loss, pet health, hair, skin, house cleaning, pests, DIY beauty products and so much more. I have suffered serious acid reflux for years and it is really debilatating 🙁 It effects what I can eat, drink, do and pretty much every aspect of my life. I am so sick of it and have tried everything from OTC medicine to prescription proton pump inhibitors and none of it works. Anyone try any of these? I really want to give the natural route a go but don’t know where to start. I’ve recently tried aloe juice. It seems to be working pretty well. You might want to do some research on the Aloe… when I did; I decided NOT to use it. Hi, may I ask why you decide against the Aloe? I’ve battled acid reflex for years, 62yrs old, seems to getting worse, Take pre-meds, at nights it’s awful, constantly clearing throat, etc;. Looking at all my options. eliminate all sugar, and soft drinks or any drink with to much sugar,,, for sugar eat bananas, get some excersise. take a 30 minute walk. I “used” to have heartburn BAD so did my sister in law – we both started drinking 1 tsp vinegar in 8 ounces of water every morning …. ABSOLUTELY NO MORE HEARTBURN!! I would think it’s Braggs apple cider vinegar. That is the best and is used for lots of natural remedies. Go for Honegar, its ACV with honey and the mother. My general quick fix is milk. For a worse attack I make an egg nog. The thinking here is that the acid cogeals the protien in the egg, forming a raft to help contain the acid. Same effect as puting vineger in water when poaching an egg. Long term, load up your diet wth green beans thin sliced the grandma way. Beans are alkaline foods which are also (I believe) high in vitamin A. This vitamin is important for maintaining the duodenal lining which goes from your lips to the other end internally. This also helps keep mouth ulcers at bay. Keep sliced green beans in you freezer. When your diet goes wobbly, cook up a whole bowl of beans and force it down any way you can. This will reset your system very quickly. 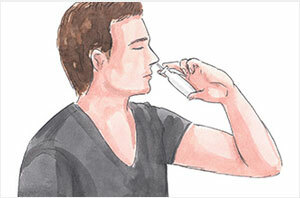 A quick fix for mouth ulcers I swill the mouth with a rough red wine. The alcohol and the tanin seem to get the infection under control quickly. @BilB – Please, I am begging you, may I have your recipe for the eggnog? I am going to try the green beans now as I have a pound at home. However, what do you mean when you say “thin sliced the grandma way”? My grandmothers passed away when I was 2 and my mother was not a willing cook. I have been in so much pain from this heartburn for 3 weeks now. I eat healthy, no red meat, only water and herbal teas to drink. So I am not sure what is causing this. Thank you in advance! You sound like a young person. Have you try checking your calcium and other minerals. my acid reflux started when I became hypercalcemic. Hopefully it will all go away when they remove the irritating parathyroid. Shelby try elevating the head of your bed at night with two books of the same height or, get a wedge pillow from a medical supply store to prevent yourself from laying flat when you sleep. Doing this will prevent you from laying flat and stop gravity from influencing the acid in your stomach to move up into your esophagus. It works. It may sound weird but i have found a hot shower somehow helps. I have no idea why but it does for me. I just let the hot water hit my stomach and back of my neck. Otherwise real gingerale and aloe vera juice help calm things down.I am gonna try chamomile tonight. Derek my friend, keep on being the light of the world” you just saved my ars, I’ve been up all night because I couldn’t lie down, worst acid reflux I’ve ever experienced, just happened to read your response and nobody suggested it, but I hopped in the shower and sure enough I feel like a new man, when I read your suggestion, I just happened to be sitting here thinking that my nerves were keeping the acid flowing, oh, and my daughter also wanted to thank you, cause she said I really needed a shower, lol, teenagers’! I used to have really bad heartburn. The kind that would keep me up for a day and a half until I finally had to purge my contents. I found out that diet was my #1 cause so I cut out all processed and preserved food. Also vinegar works well. Must be the apple cider vinegar. The white vinegar does not work at all. Mustard helps me also. Chamomile tea is great for a lot of things. Also you can find digestive enzymes at your local health food market. I suggest using these when you eat. That is finally what rid me totally of heartburn. Along with daily use of probiotics. My overall health has greatly improved and I haven’t had heartburn in 3 months!!!!! 🙂 Now that’s really something for me. I was on Medication for a year. It worked at first, then my body got used to it and it totally quit on me. I have had severe heart burn during pregnancies. I took a 1/4 Papaya, tossed it in the blender added some water and sugar to my liking, blended, and there I had the best remedie for heartburn. My husband said even inhaling the aroma of the juice helped his heartburn. I drank a cup before going to bed, and was usually even able to get rid of the gas in my stomach. But I’m not sure how many of you can get fresh Papaya. I have heard that you can buy it dried and ground in capsules though too. I’ve tried the yellow mustard one. This seems to work during the heartburn you get from not having enough acid in your stomach. However, it does not work for heartburn from having too much acid. I have not figured out how to tell the difference, so there have been times that this has worked, but there have also been times that it has made my heartburn worse. It works in some in others doesnt. This applies to most so called remedies they introduce. I’m at work and didn’t have anything but a mustard packet, I tried that and I sit here heartburn free. Thanks!!!! Exactly the same issue I have had. I took mustard an hour or so ago and it made my pain worse. I don’t know what to take now as I’ve already taken a probiotic even though I don’t dare eat a meal. I’m just snacking on crackers for now. I wish that I had some Ginger Ale on hand, (Canada Dry is the only one so far that has the real ginger in it) not that it would make the pain go away, but it would at least soothe my stomach a little. I eat peanut butter on bread or on a spoon to get rid of my heart burn. Sometimes half a sandwich will work, but tonight it was a whole one and heartburn gone. Fuji applies the sweeter the apple the better it works. 1 Fresh aloe leaf – cut , strip off the green outside skin. Then you left with clear aloe with some yellowish outside. Cut and strip off as much of the yellowish outside. Then you are left with clear aloe. Note – the yellowish stuff can give a laxative effect. Blend with a cup of apple juice, cup of orange juice, qtr cup water. Its really good and soothes. Way healthier than gavascon. Jerry, I get stomach acid pretty bad periodically, but never really in the esophagus. I’ve taken Zantac Tums Prilosec and all the rest which usually work. I happened t be without last night and my friend suggested eating a full lemon wedge and a glass of water. Slightly nasty but relief in less than a minute!!!!! Incredible! Its 3:15am I am up reading all of this, I woke up choking and throat burning – not sure what is going on and I don’t recall this ever happening to me ever before. I have been put in the hospital for some type of acid reflux problem but the only reason I ended up at the hospital was because my chest had been hurting and it felt like too much pressure and I was kept at the hospital under observation for over a day and that’s when I found out I had that problem. I started off getting Prilosec when I left the hospital but that got expensive so I got the plain label at Walmart Acid Reducer and those worked just the same. I haven’t had no problems for over five years and now here I go again. Thank you for all this feedback here on this site. Make lifestyle changes and that will help more than just taking an acid reducer. Limit fats, foods high in acid content (citrus, tomato sauce, drink milk if you are not lactose intolerant, etc). There are lots of sites online which provide excellent info on this condition. And go see your doctor to get tested and appropriate treatment. Take care. Have you noticed joint pains from being on the Walmart acid reducer for so long? I am trying natural ways now because I am wondering if this is causing my others aches. I like the Aloe but I drink Kefir every day- at least 1 cup and my heartburn has become non existent!!! As I drink it, I could feel the Kefir coating my esophagus and literally putting out the fire 😉 Good luck!! I always drink a cup of dill pickle juice and it’s gone right away. If you have a stomach virus ginger vitamins and cinnamon vitamins are great. Cinnamon kills the bad bacteria which causes the stomach bug. I also had acid reflux that affected my life all day every day t was awful! I couldn’t eat here or there or at this time or the other and I had to carry around liquid antacid in my purse, I went through it like water until I began drinking ginger tea. Ginger tea cured me! I am such a skeptical person but I urge you to please drink the tea before every meal and soon you will notice a big difference. Jerry I have. I bought the organic apple cider I pour a capful on a bottle of water and drink it all day. I have felt much better. . I also take a tea spoon of coconut oil organic as well, and is really good. Mustard provided instant relief for me!! if you get hartburn and you are stuck. I use white tooth paste. it works a treat. It is cooling from the mint and the calcium carbonate works . also ive even tryed chalk board chalk. being pregnant makes you sometimes very desprate. I hope you didn’t use a fluoride-containing toothpaste as swallowing toothpaste with fluoride can be dangerous as fluoride is used as a rat poison. Eating chalk for any reason especially when you are pregnant can severely mess up your system…please look into this and no amount of desperation makes ingesting non food OK. Talk to your physician because there is a pregnancy phenomena where you crave things like cleansers and laundry soap and other weird things and it can be a warning sign of a serious deficiency. I’m in the same boat as you are. 🙁 Bummer! I’ve been on the strongest dose of Nexium for years now. I still have to deal with that horrid severe indigestion and heartburn. It doesn’t matter what I eat that can bring on an attack. One time I tried a “home remedy” that I saw on some forum. It was to take a tablespoon of regular brown sugar. To my delight and amazement, it actually worked! It was probably a fluke because when I tried that same “remedy” another time, it did not work. Just like now, I took a tsp of mustard and it is not helping at all. In fact, I feel more burning, discomfort, etc. That must mean that my acid level is high now, instead of low. The problem with GERD, and other like ailments is that one can fluctuate between having too much stomach acids or not enough. Good luck in your search for a working remedy =. I tried the chewing gum for 30 minutes. It works pretty well. You could try that. I was in the same boat as you & so many others. I became bulemic by force just to get some relief. I went from doctor to doctor until I saw this specialist who ran a special blood test & found out that I had this bacteria/parasite called Hpilori (look it up). He then prescribed this 7 day treatment called Prevpac… Been acid reflux free for the past 3 years. Hope this was helpful and good luck. Jerry, Braggs apple cider vinegar works great! Get a high quality aloe vera juice that is aloin free (from a healthy food store) Mix 2 oz. with a glass of water and drink once in the am and once in the pm for 1 month. Why the person said not to take it, I have no idea. Western doctors are nothing more than salesmen for drug companies. I went to see an Eastern doctor which gave me some tea which cleared it up. I also had to make a change to my diet and eat real food which gives me 100x more energy during the day. You have to understand Western food is extremely toxic to our system hence why most people have some type of health problem today. 90% of health problems can be resolved with a healthy lifestyle where it’s up to you how you want to feel daily! Cut out all dairy and meat and boxed and processed foods. Eat whole real foods only. No dairy! The problem will dissapear. I just tried the baking soda. I managed to drink about 5 oz of the mixture before it made me gag but I already feel relief! I have tried some of the above and found that, for myself, soemtimes they work and sometimes they dont. I know that is not very helpful…BUT what I CAN tell you was a major trigger for me was MINT gum. 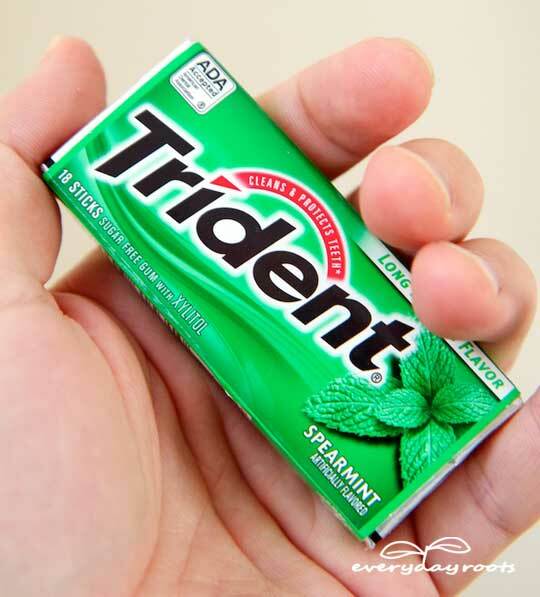 I was told, as a child, that mint can sooth your stomach ache, so I chewed gum constantly without it helping. Until one day, a nurse told me to try fruit flavored gum, like berry or strawberry. She said stay away from mint and cinnamon. Same is true for toothpaste. I changed from adult toothpaste (way too much mint) to a childs toothpaste WITH flouride that tasted like strawberry. My dentist said it is jut the same as adult toothpaste as long as it has flouride. I tried aloe juice, and it was ok for the one bottle I tried (very expensive and hard to find). Deffinately track your triggers and cut them out. I am doing much better after cutting out coffee, mint and beer. Altoids mints help me a lot! Thank you, this remedy help me a lot! I have tried all but the baking soda and what worked best for me was the apple cider vinegar. I didn’t believe this until I tried it but eat celery before bedtime. It works foe me. After a painful night of suffering I tried a banana and the honey. Seperately of course. I also drank a 8oz glass of half and hald…why you ask becasue grandpa said so. The combination has helped some but I dont know. Tonight has been one of the worse night I’ve ever had. I take prilosetc 2 to 3 times a day, zantac one daily, and usually a few tums. Ive had a chronic cough from the acid too. I’m going to sleep in the recliner tonight with hopes of actually sleeping. Anyone else have it this terribly bad? Yes… Stopped the Prilosec. Did a colon cleanse and a gall bladder cleanse. Started taking Betaine – a digestive enzyme with every meal. Stopped caffeine. Started daily probiotic. Started organic juicing- 2 carrotts and an apple daily and have added to that with… sometimes greens, or cucumber or celery or beets etc . Started fermented vegetables. Stopped drinking water with food. Don’t eat 3 hours or so before bed. Don’t overeat. Sweet Gerkin pickle juice helped as does Baking soda in water as does Apple Cider Vinegar with “mother”. Then the Betaine started making me feel too full and bloated and was able to stop it. Still follow everything else. No more prilosec! – That stuff will kill ya. As will Acid Reflux if you don’t get it under control. Seems there may be a connection to hypothyroidism. Heal your gut and get your life back! I have suffered with reflux for a long time, and I recently have been referred to an endochronologist to check my thyroid maybe that appointment will help me..
Best. Reply. Ever! Thank you! I took Prilosec for 17 yrs. and then it stopped!!! For the past year, I’ve tried everything except mustard. I took ginger tea with lemon and honey, or apple cider vinegar with honey in water, or ice cold small red delicious apples, ( works every time). I chew crystalized ginger, or ginger candy. Sometimes they work, sometimes they don’t. I was in terrible pain for over the past year. I talked with my primary physician recently and he had the Gastroentestlogist (sp) prescribe Nexium. It works, so far. And was unable to get it, after being off of it for afew hours my stomach felt like I had drank scalding hot water, I was unable to even drink water, unable to bend over, it didn’t mater if I eat or not, I was in pain. I am some better now , but I have had a long hard battle. I have prayed , and tried everything natural that I could find to help. I think it was killing me. So I want to encourage you to read about it and it’s side affects on internet. We really wont need the meds often if we learn how to eat so we get the vitamins and minerals that our body needs. I am still searching to learn all I can about how to feed my body healthy foods and praying for wisdom on what I can do to get well. God Bless, I pray this has helped . When you get off a PPI, you have rebound: acid worse than ever. Bad idea. Quick fix for the symptoms, but payback is hell. The only thing works long term is to change your lifestyle: what you eat, how you eat, when you eat. A pill won’t do that. Yes I have only had it for three days I’m 21 years old and am not pregnant and had my first heartburn 🙁 it is mostly in my throat just burning away the odd thing is it’s not in my chest really only in my throat and even feels like it’s going into my ears the burning is absolutely dreadful and has been non stop for three days any suggestions is it what I think it is???? 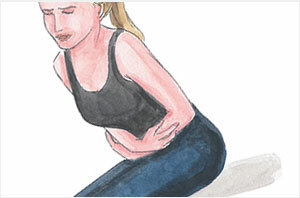 Check into kidney problems, major reason for stomach disturbances. Get a good probiotic. Syntol, or Bioinnovations have acid protection so it gets where you need it. Most don’t have this so they are a waste of time and money. Syntol has digestive enzymes in it. I have had a chronic cough and acid reflux for 6 weeks and can’t get rid of either one . I take protonix and nexium daily and neither one of them work. I haven’t tried any natural remedies yet but I am looking for a remedy….I also have slept in the recliner for 6 weeks….need help fast. I have been on generic nexium for over ten years. I still get a bad episode like tonight , once in a while. I tried the banana and hot coffee with cream and also put a pillow behind my lower back to help me sit up straight and after a half hr. I’m feeling better . My banana is very ripe and soft. I’m afraid to move now , so I will be sleeping in my recliner up rite tonight. Thanks to all for the help. Yes Allison, I can relate. Exactly why I’m here looking for help also. Don’t go off a PPI right away. You have to taper down, then go to something like Ranitidine (sp?). It’s not a PPI, more like an antacid. I feel for you Allison. I’m about in the same boat as you are. Having one of my bouts with this right now. It probably won’t go away for another 24 hours. Of course I can’t eat dinner or snack when I get these attacks. I’m on Nexium and even take probiotics, eat yogurt- when I get these attacks, nothing helps but time. Grrr…. Hopefully we can find something to get some relief. Iam also on Nexium but when it doesn’t work I take Folic Acid. My immune specialist wrote a script for it, but I think you can get it over the counter. I have suffered for YEARS with this and just keep trying different things. Yes, I was on prescription Prilosec for years… this was before they came out with Nexium. Was on that for several years… don’t take these if you can avoid it because they caused me to have Osteopenia (bone loss) which is a really bad thing, especially for women. I am 63 now with a ton of problems… Barrett’s Esophagitis, GERD, Crohn’s Disease just to name a few. Currently on prescription strength Pepsid (famotidine) which has helped some, but appears to in process of no longer working. I have been sleeping with an elevated bed wedge for over 15 years, try to never eat 2-3 hours before bed especially anything acidic. I am going to try some of the suggestions on this forum because I really need help again. I would recommend the same for you, and wish you and anyone reading this good luck. Well it is 6:26 am and for anyone who knows me that it is way too early usually indicates I am not feeling well. Been up since 4:45 and I feel like I am dying here. I tried chewing gum and apple cider vinegar in water which are the only two things I have at me disposal. I have no recliner at me and my husband’s apartment (I am a girl ). Some nights/mornings I just can’t sleep with it. Some times a hot bath will help and sometimes just eating will help but tonight nothing. I feel your pain. Bananas actually give me heartburn. But I’ve had luck with the baking soda remedy. Just be prepared to have a few good belches. Think of the reaction you get when you mix vinegar and baking soda – that’s what’s happening with the stomach acid. @Sandy how surprising. I have had people telling me that celery is good for treating heartburn symptoms but didn’t know that it actually works. My dad has some type of reaction to certain foods that is immediate. It almost appears as if he is going to get sick, but he describes it as if it feels like his chest is closing up and hard to breathe. While at dinner one night, he had been told about something to try (and said he had before) and requested some straight lemon juice (offered for them to bring him to lemon slices to squeeze, but the waiter we had was wonderful and did it for him). He drank that and within 2 or 3 minutes had immediate relief. I will say he has mentioned he also does the vinegar and it works. I haven’t had the nerve to try these yet, due to taste, but he swears by both of these options. You may want to add Licorice Root to your list. It works wonders for heartburn. I have been using it for years to control mine. Also, drinking Gentian Root tea at the onset of heartburn helps to get things moving and dispel the heartburn. Unfortunately, it is VERY bitter, (probably why it works so well). I just take a few mouthfuls. One other thing I have been using lately is d-Limonene (Orange Peel Oil). I take one every other day for 30 days and then stop till needed again. It seems to having a coating action on the esophagus and it gives you wonderful fresh breath. Lorraine, licorice root does work because it helps to thicken the mucosal lining of the esophagus and stomach, however make sure to get deglycerized licorice root because the regular kind raises blood pressure significantly in some people. I have had great success with licorice root. Fennel also helps. Thanks for the info Annabell- that’s good to know for people who do have high BP. As for me, my BP is low, so I’m wondering if both types of licorice root would be okay for me to take. 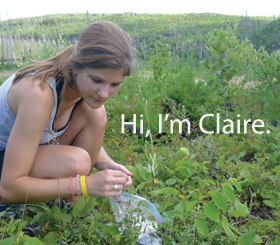 I like your website and am a fan of natural cures. However, if acid reflux persists see a doctor. Frequent acid reflux can lead to Barrett’s esophagus which is a precursor for cancer. My husband was fortunate that his cancer was caught in early stage 1. I put coconut oil and cinnamon and honey in my coffee, too – very healthful brew 🙂 I’m also taking Mastic Gum now, 1000 mg on an empty stomach before coffee. Research it, very curative for the stomach from years of acid overload. I read that dill pickle juice will provide instant relief. I didn’t believe that at all but I love pickle juice so I figured next time I have heartburn really bad I’d try it. It didn’t provide instant relief but within just a few minutes my heartburn was much better. Not gone, but a lot better. See earlier reply to first comment. My wife had a reflux bad enough to wake her. She had some milk (then went back to bed). It did not last long. So I made her the eggnog (with some sugar), and she is asleep. It was the curried sausages. 2am. The beans are the best diet stabiliser. I can’t get my family eating them regularly. They’d rather eat for taste rsther thsm health. So I have to dose myself up with the bean bowl treatment periodically to keep healthy. Gourmey chopped beans may look trendy on a plate, but it is a terrible way the eat beans in volume. Last week i demonstrated the bean slicing technique to my 15 year old so have now passed on that little very important bit that i learnt from my Grandmother. Sliced beans are now hard to find at the super market. It is all long chopped beans. That is just lazy manufacturing. Try Siberian pine nut oil- I get mine online from ‘ the other option’. My dad and I have both been on it for different digestive disorders and its the closest thing to a miracle in a bottle. Totally natural and totally healing all the way through the digestive tract. Just wanted to mention a disease my son has recently been diagnosed with — it’s eosinophilic esophagitis. It’s a condition where white blood cells (eosinophils) build up on the lining of the esophagus making the chest tight and causing food to get stuck — like the symptoms Randi described her father had (May 23 2013). My son was hospitalized when he couldn’t swallow (not even saliva) for over 24 hours and the endoscopy tore his esophagus. They prescribe Nexium and allergy testing. They believe allergies play a role in causing the white blood cells to form. Experts still searching for definitive causes and treatment, but just thought I’d share this info since its a relatively newly named disorder. hi ive just been diagnosed with this so im taking apo prozole n waiting for my allrgy test i find it hard to eat , what is he doing else besides the pills? Interesting ideas and comments. I can’t do baking soda because of the salt. Bananas can give me heartburn as another person here reveals, too. Milk doesn’t help. Vinegar is outright terrifying, but now that I’ve read the explanation I’m trying it- right now……..BTW – I DO keep sugar free gum on my nightstand, because it really helps me when I get heartburn lying down….I’m reluctant to say the vinegar has helped because I drank it 2 minutes ago, but I’m having instant relief. Wow. Will come back and tell you if it doesn’t last. Wow. just wow. I’ve tried the vinegar but it set my stomach on fire when i drank it. My reflux is at the point now that i have really bad chest pains that make me feel like I’m gonna pass out. I have tried the nexium and it worked before but hate the idea of the side affects. Milk used to work but not anymore. Trying to stay away from the aspertame so the sugarfree gum is out. Think I’ll try the green beans, can’t hurt anymore than it already does. Thanks for the info…. as well as all soda pops. Take L Glutamine 5-10 gr. p. day on empty, Nutricillin on empty and Pep Zin Gi with every meal. Once your linings are healed take 2 tbs. 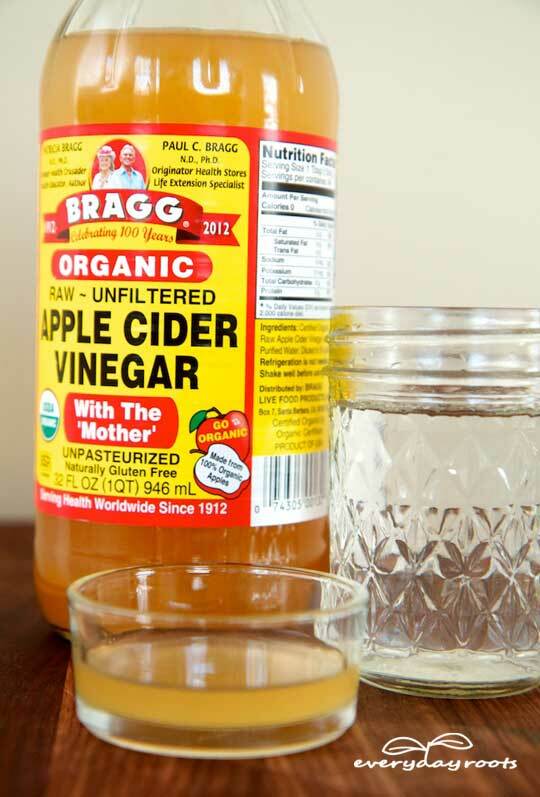 Bragg’s apple cider vinegar with a 1/3 tsp. baking soda (aluminium free) in 8 oz. of water every day. Freeze organic lemons, grate one every morning on a cheese grater dissolve 1 1/2 tbs of natural unprocessed honey in a cup of hot water, add the gratings and drink it before breakfast. That should solve your problems. Has anyone tried taking Slippery Elm? I’ve been reading that this has been a digestive remedy for centuries and it is supposed to coat the stomach and esophagus protecting it from the acid. However, the name, Slippery Elm, makes it sound somewhat ominous. I’m going to check with an herb expert and find out more about this. Slippery elm is brilliant! Really works. I get it direct from a qualified herbalist. You use 1 teaspoonful of slippery elm powder in some warm water or milk. Make sure you stir well and drink every bit. Used it last night after two days of awful acid reflux and slept soundly for the first time for ages. This morning totally settled down. Also find Apple cider vinegar (suggested above) and ginger tea helpful and soothing. Hello! Yes I have used slippery elm and Marshmallow root, they help with irritation and inflamation in the stomach and throat and esophagus. I was diagnosed with Barretts esophagus in Dec. 2010. Had a follow up scope last October. Biopsy should no Barretss but I have now intestinal metaplasia, its not as serious as Barretts and wont turn to cancer. The surgeon looking after me said I will fine for another 4-5 years! I went from choking on acid, trouble swallowing, sore throat to only a sore stomach I am vegetarian and also use a green supplement for alkalinity. I do have to be strict with my stomach but I have helped my body! Anyone can do it! Yes PPI pills make the stomach worse. I also use a digestive supplement with betaine HCL (plant acid) and probiotics. So sorry to read that so many folks have this issue. I have an uncomfortable, sometimes tight throat and sometimes it affects my voice. I have no heartburn…thank God. In fact I feel great except for my throat! I eat well…no coffee, tomato sauces (miss my pizza) . I have decaf herbal teas and I eat fish, chicken and turkey. I eat salads and vegies. I finish eating at 5:30PM and have a little snack about 8:30PM. I exercise (now on an empty stomach so acid does not come up from my food. Gastro Dr. did an endoscopy and said evertyhing looks fine. ENT said throat and vocal cords look good. I give up! I have this for 10mos and can not figure it out. I also began drinking Almond Milk….it is supposed to neutralize stomach acids. Those are both very wrong… What causes heartburn, is eating bad stuff, that has been classified as good eating, such as Potatoes, Beans, Rice etc… Things that are not natural to our bodies! If you wanna get rid of heartburn forever, and not have weight issues, then go Paleo or LCHF, it also gives you the joy, of drinking alcohol, without worrying if you’ll gain weight ( Another myth ). @ole, alcohol does cause weight gain. as a recovering alcoholic who has lost around two stone can verify. unfortunately still suffer from heartburn, sodium bicarbonate dissolved in half a cup of water works a treat! must say be near the loo because if your stomach is super acid filled the reaction may cause it to foam up and expand and you might need to be sick. don’t worry though, its safe and funnily enough the neutral foam after major heartburn can be quite soothing. gross I know, but true. and that is only in very extreme cases. I just came across this article today….looking for some relief for persistent gerd. I’ve been paleo/low carb for about 6 years — lost 50 lbs — still persistent gerd. I don’t take ppi’s because i haven’t wanted to shut down stomach acid…so, for years…i sip sodium bicarb water…as the need arises….and it arises…a lot. I’ve tried the cider vinegar, betaine hcl, ppi’s, paleo diet, very low carb…and now problems with sodium bicarb…not being enough and maybe, along with calcium….doing a number on kidneys. Any suggestion for Hiatus hernia ? was diagnosed last yr, prescribed Nexium but never took, had no symptoms until last month. been having accupuncture treatments slowly getting some relief. I have a systemic acid problem, some say if you have an enlarged liver, you will have reflux.’ that its also the liver not doing its job. I have all those symptoms. I am soy intolerant. I get the most violent, painful gas and then comes diarrhea so bad I think I am going to crap my colon out (sorry for the graphic description) If I eat soy protein, I throw up after hours and hours of pain, heart burn, indigestion and nausea. If I have oil, I get the gas and diarrhea. If I have soy sauce I usually just get really REALLY bad gas. My body doesn’t know what to do with soy, either it refuses to digest it and it ferments in my stomach and I vomit or it sends it on a fast track out the other end, like a luge. And guess what? Soy is in everything!!!!!!!!!! I can imagine how hard it is to find food that you can tolerate if you have multiple intolerances. A trip to the grocery store probably takes you hours since you have to read absolutely every label. Pain subsided, and heart burn gone for now. Still nauseous, but could be from the cold mustard glob sitting in my stomach. Waiting for a burp, that is what usually sets it off. burped and a slight burn come with it, not like usual, not as bad. Going back to bed, will post again if this works for the rest of the night. avoid: coffee, bananas, alcohol and dairy. I’ve read that you should avoid mint gum as this may exacerbate the situation. Stick to cinnamon or fruit gum. I have had three liver transplants and suffer from chronic reflux. I get reasonable results from ginger ale, but I also find that eating a lemon after my last meal also works. Go easy on the bicarb as it throws out of sync some of the constituents that keep your blood good. Also soda water is fast acting . 3 mouthfuls is all you need. You should look into the idea that reflux is sometimes caused by too LITTLE acid in the stomach. This generally happens later in life. It is remedied by taking a tablespoon of apple cider vinegar in water. I agree with you Sara. I’m soon to be 56 and have had acid issues as long as I can remember but it always responded to antacids or when very bad, baking soda. NOTE: It’s criticial that the baking soda/water be mixed until absoultely clear or your kidneys will take a pounding trying to process raw soda granules! I’ve had really bad sinuses for years and seen many specialists who end up throwing in the towel when their whizbang drugs don’t work. Recently I had spinal fusion surgery and got what I think is full blown GERD or LPR from eating laying down. Knowing what I know now I would have eaten soft foods or nutritional liquids. I don’t have to tell anyone about reflux chest pains….chest pain is from hell! The reason I mentioned sinuses is because I now believe I have had silent reflux for years and years…so in a weird way having GERD might be an answer to the hell of sinus infections and may possibly save me from the horrors of throat or espohageal cancers. I have an endoscopy scheduled for April 23rd so hopefully will FINALLY get some validation that it’s NOT all my imagination. I’m going to try the raw unpurified ACV today. Tums, OTC omeprazole, baking soda….nothing that used to work is working like it used to in the past so my reflux has definately evolved. Great site/blog! Thanks for the info and I wish you all good/better health. chew and eat the gingers raw. Yes I also tried with hot water but it wasn’t as effective. It is gross and spicy but seems to help. I hope it can help someone reading. natural remedies are better than others to relief heartburn! I have an on going problem with hoarse voice and constant sore throat. 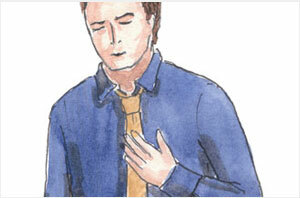 Have had severe burning chest pain before, do not get that now – just very sore throat, constantly. Tried cider vinegar at night and throat definitely less sore. Going to keep taking it. Thanks alot. Need to work out now how to heal the damage – I have heard aloe gel good for burns. I love all of your suggestions. Great website. Thank you. After a long sufferring day at work were no antacid helped cure my pain i logged on to the trusty internet for advice.. my mum had already bought me aloe juice so I took a quick swig of it while reading all the advice and comments here.. it partially relieved the burning pain.. i then decided to go for the cider vinegar.. 1 large spoon made my chest feel on fire but then slowly settled.. lastly for good measure i had a cup of natural apple juice.. which has rid me completely of heartburn! I never thought vinegar or apples would be on the list of remedies! I assumed these were acidic and would make me worse but low and behold they were a godsend! Hello guys! This website is very interesting and all of your comments are also helpful indeed. Will try those once I get home. 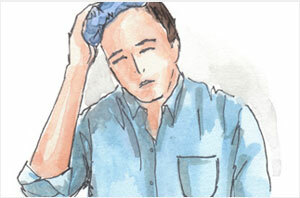 Now, I’m having fever maybe to due to my GERD. I was diagnosed last Friday and I still have the feeling that something’s stuck on my chest. I don’t have any problem with my tummy but on my chest especially when inhaling then the problem is there. Though, the pain that I have now on my chest is already tolerable. What bothers me now is that I’m having a fever, should I be worry about this? did it work or what? Anyone has this similar symptoms? Does not feel heartburn or spit up from stomach to throat but always has the acid taste in mouth daily and occasional stomach tender to touch. What remedies anyone has used for this specific symptoms? I have heartburn and reflux problems. I’ve tried working out on an empty stomach with out success. Ive tried vinegar probably the worst one ive tried could not breath after that and when it started to go away it came back with a vengeance. Tried lemon water no help. Tried baking soda in water, it worked just before I ran to the bathroom to vomit, I’ve always had a problem with trying to burp and this was bad for this particular remedy. I had found that ice cream works only it caused me to gain 30# because I was desperate for relief. I have not found that coffee is a problem in fact coffee helps with achy knees. Mustard is the same as vinagar bad choice for me. Im trying to avoid pills. Why do the beans need to be cut a certain way? Maybe ill try that. Ive also tried glutton free and low carb this didn’t seem to work either. I have had gerd for years . I have had two endoscopies two colonoscopies and Dr. says it’s mild case. my husband just died a couple months ago and it flared up badly my throat is burning stomach hurts and I’m really have a lot of anxiety I don’t take drugs I do everything natural. Ayurvedic doctor says stay away from Apple cider vinegar, lemons and garlic because it it inflame my stomach more . I am diligently trying pine nut oil , essential oils, pancreatic enzymes, probiotics, baking soda and just bought proxyme gi. I will try the green beans. how did the probiotics work for you? try comfrey root powder tea. My reflux stems from a failing gallbladder.cannot have surgery due to extremely high blood pressure.have been taking prescription meds but am looking for natural remedies.will try area of the suggestions I have read here. Not necessarily. In fact, milk is more for ulcer problems and really doesn’t help at all for GERD and its associated problems. I knew not to have that pizza. Was sooo good though. Been up ever sence with horrible heartburn. I tried the mustard. Was really hard to get down for me but I think it worked. It’s been about an hour so I’m goin to bed. Oh … Almost forgot… I have advanced gastro intestinal cancer… I’m just looking for some kind of relief so that I can at least sleep more comfortably at night. Thank you all for your help! God bless…. I would be careful with lemon or apple cider, it is pretty harsh, and if you have damaged of you lining , it may be irritated. Stay away from spicies as well, even ginger in this case. Tomatoes might also case the problem, similar with dairy. 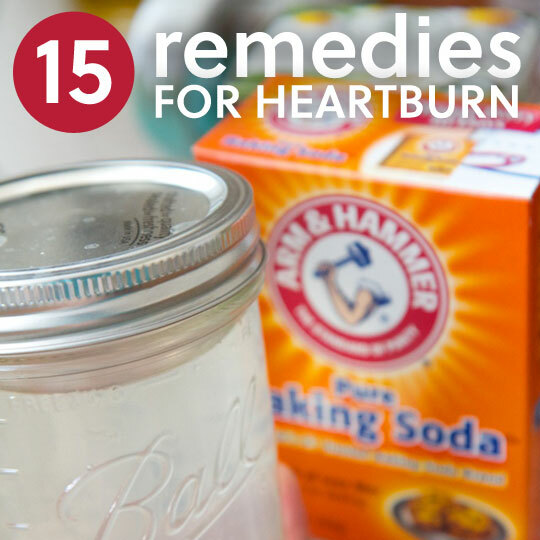 Many people are familiar with the use of a spoonful of baking soda in water for heartburn relief, but there are a couple reasons I didn’t include it. First off, baking soda is very high in sodium, so taking an entire spoonful of it could be a problem for some people. Second, and more importantly, adding baking soda to an already over-full stomach can cause the stomach to explode – no joke. I suffered sore hoarse throat and cough for 22 years and was examined by every specialist known to man with no result until a speech therapist told me to raise the head of the bed – there is something called Silent GERD – no other symptoms of heartburn but at night stomach contents creep up. Within two days cough and throat improved – six months later I’m a new person. I almost didn’t believe her. Such an easy cure – not just pillows, you must raise the bed. Note: I already knew that if I gained even two pounds my symptoms were worse – so fat plays a huge part in this disease. Years ago I lost ten pounds in one month by eating just vegetables and rice, with nuts for snack, apple for dessert. No sauces of any kind. Five days after you start, suddenly food tastes wonderful – an apple is equivalent to cheesecake! Lots of chopping & dicing, but worth it. I’ve had acid reflux for a around 6 months.My doctor put me on meds for 3 months.After I stopped taking them,2 months after it was back.I’m going to try the mustard.I stopped eating fried foods and anything with tomato in it.I now am staying away from processed food .Veggies And chicken cooked in my flavor wave.It has been a struggle though because I did love my spaghetti sauces,My acid reflux is annoying ,I have so much gas and. heartburn 10 minutes after I eat and my stomach is growing as if I never ate.I do have a lot of stress though,which I have to work on getting rid of.It can be very stressful wanting to get rid of acid reflux for good and it comes back after my first time having it and I was. on meds.I would really like it gone fr good without needs,a natural way.I tried white vinegar and I hurled over in pain,it felt like it was tearing e inside.I think if I would try apple cider vinegar. I will go really slow ad start by dipping a spoon in it and licking the spoon after. Dee, I have carried a sore throat for a few months. The burning in the mouth and throat is quite irritating. I think it stems from diagnosed acid reflux, but I do not feel it coming up the esophagus. I am connecting it to excessive belching, however which occurs after eating. The evening seems the worst , and I try to control that by Apple Cider Vinegar in honey water. My ratio roughly for my vinegar cocktail: 1/2 t. honey in 1/3 c warm water, blend; add -2 t acv, stir. I do not want large quantity and fortunately, this much works at the time. Generally need this by or after supper. Also, celery is cooling and feels good on my throat, and gives stomach relief. I try not to take meds for this as I take enough for other things. I have severe reflux. I found out by accident really, that when I drink soy milk (silk specifically for some reason) it calms right down. I’m starting to drink a small glass before bed. Almonds give me acid reflux. 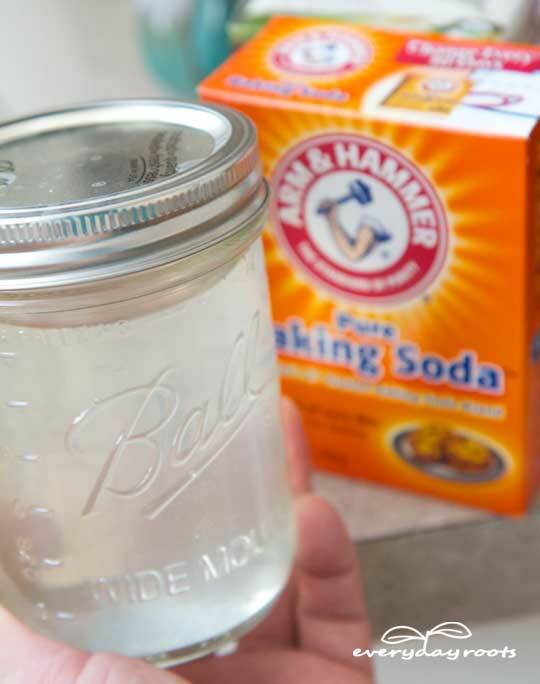 I just tried the baking soda remedy and it was instant (albeit nasty) relief! Thanks so much! This info is fantastic. I think I’ve had GERD for several years. Saw GI about 4 yrs ago and he said raise the bed, dont’ eat before bed and take Nexium. I did for about a week but KNEW it’s bad for me so stopped. GERD has been off and on for years now. This last week it’s RAGING. Headed for GI tomorrow. DGEL deglycerized licorice pills worked great for awhile and now they aren’t. I’ll try ANYTHING. Thanks everyone for the tips. I got GERD after my gallbladder surgery. Can’t take any of the ulcer or GERD medicines because side affects were so bad. Had to change my lifestyle. Exercise, no smoking, next caffeine, no spices. Things I’ve found work on it are cucumbers and apples after every meal. Also drinking chamomile tea and switched to coconut milk. Incorporate a lot b of exercises that strengthen your upper stomach. This is approximately the third time I’ve had acid reflux and I’m only 27. Lord, if this is what getting older feels like, I’m not looking forward to it. I’m currently battling strep throat and this thing has woken up me about every 2 hours (conveniently when my instant relief heartburn/acid reflux chewables wear off). As rest is vital, and the pills are really not working, I figured I’d look into some of these remedies for relief. I tried the baking soda method and it tasted so horrible! Because of this alone, I am never doing this method ever again. I thought I was going to throw up just trying to take it down. I do, however, feel like it is helping my acid reflux though and the relief started pretty instantly… but the bloating/swelling in my stomach has increased, making me feel like a 4 month pregnant woman. I feel uncomfortable to say the least. I also ate a banana before taking the baking soda, and made myself some instant honey chamomile tea (great for calming my strep throat as well). Best of luck to you all out there. I had terrible heartburn until my doctor realized I was lactose intolerant. I was taken off all dairy products and my acid reflux was gone. So I suggest you might consider removing dairy from your diest for a couple of weeks and see what happens. I have suffered off and on for years with heartburn due to a hiatal hernia. Tonight was the worst it’s been in a long time. After reading the remedies and comments I tried the baking soda. My grandmother swore by this and now my mother uses it. I put a half teaspoon in 8 ounces of water. I’ve been sipping it slowly and after 20 minutes I feel so much better! Just tried the gum suggestion worked within seconds of chewing! YEAH!! 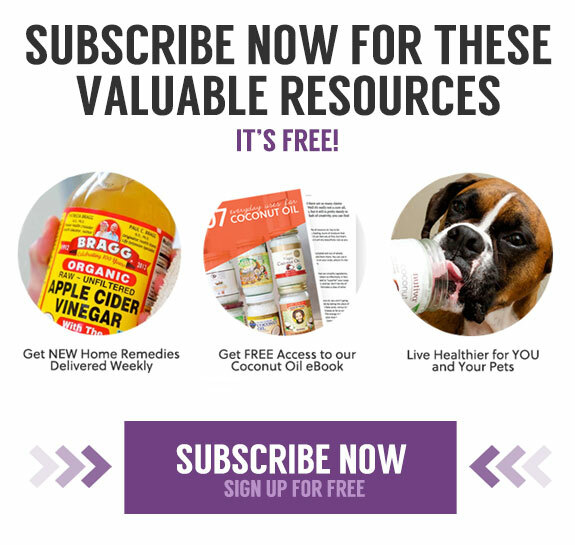 elsewhere one remedy I found that works for me is similar to what posted here – in this case, a tablespoon of ACV + 1/4 tsp of BICARBONATE OF SODA (+ water of course) . let bi-carb stop fizzing before adding water. depending on need. take 2-3 per day. not sure if that is what you mean by ‘baking soda’, but do not use ‘baking powder’ because it has tartaric acid added to the bi-carb soda (so baking rises w/o any acid in the ingredients in recipe). I have tried delicious apples, and honey, but nothing really worked until I tried the above. OMG i have had heartburn for years. And it did not help that i had gastric sleeve surgery over a year ago. I did a tea spoonful of apple cider vinegar for a week and low carbs, I noticed a big change, I started even taking wine and back to road running this weekend I did 17 km run this weekend. I pity on still doing omeprazone and antacids, and visited best hospitals in Nairobi. I was on medication for two months and I even took H Pyloric kit to no avail. but this natural treatment did wonders. I have been taking Prevacid for almost 10 yrs, about the same time I went on High Blood pressure meds, all happened at the same time I was living with a horrible person who kept me stressed out all the time. Not happy that I just found out it is only supposed to be for temporary relief up to 2 months. I have had kidney troubles off and on during my 64 yrs so really try to watch my diet and drink lots of water and I have my be raised 4 inches at the head. I eat only natural foods, no processed foods, do my own cooking and baking with natural ingredients. I am now with a wonderful man for 7 yrs and have no stress so 3 wks ago I went off the Prevacid and the last 2 nights I have had the burning back. So I am looking here for some natural remedies to try. Thanks to everyone here for sharing their experiences, I be trying them until I find one that works for me. Good luck to you all. I got an endoscopy last week and the doc still doesn’t know what ails me. In a nutshell, about every 8-10 days I get a burning sensation that lasts from 8-16 hours then just goes away. Now it is coming every 3-4 days. He’s gonna run more blood tests but he hasn’t given me anything for the pain—and I hate taking medicine—especially if it’s just a band-aid and not a cure. So for the first time in my life I woke up choking w burning acid in my throat. What’s interesting is that for several months I have been on an Ayurvedic eating plan that avoids nightshades tomato, potato, eggplant, bellpeppers and also avoids onions and garlic. Tonight I decided to cheat and have a dish w tomatoes in the sauce and probably garlic as well, and it resulted in this horrible heartburn reaction. Wow!! No more nightshades for me! I was scared to go back to sleep because my throat wouldn’t stopped burning. I tried some baking soda in water and the burning feeling throat went away immediately. Going to try to get back to sleep now. Be careful of baking soda, too much of it can be extremely hard on your kidney’s. My mother had kidney failure from too much baking soda. Use with extreme caution. Was having bad acid reflux for 2 days straight with no relief from Rolaids, ran across your site and immediately without hesitation grabbed a glass of water with a teaspoon of baking soda (wow! is this stuff salty! and it doesn’t taste very good… but) eased the burning in the throat, but still a twinge was there in the throat (could be because I didn’t down it and I have been sipping it like a wuss since it tastes so bad) ate an macintosh apple and feeling a lot better than before. Worked way better then the antacids. So thank you for this page! Please do not take it down as I will refer to it often. I heard baking soda might not be safe for pregnant women, because of the high salt content. So just be sure to ask your doctor if you are pregnant. I have bad reflux symptoms for 10years. Constant pain in my throat only in one side. I recently read about melatonin and reflux. I will try it for 40 days and see what happens. Started yesterday 11/11. There are a number of different things that cause heartburn. For general types not cause by hernia or other medical issue (see below), you first need to understand if you have too much acid or too little acid. If too little, the apple cider vinegar or mustard type remedies will likely help. If too much acid, the neutralizing type remedies will help like baking soda, Tums, liquid type antacids, etc. Baking soda is also not good long term as it negatively affects your liver. Dairy, like cow’s milk (or yogurt) is not a good idea. (Try Almond Milk) Also, garlic can be a trigger for heartburn. Never tried green beans, but sliced green beans are also called French Style and readily available in the canned veggie aisle of your supermarket. Avoid remedies with sugar. Long term use of Prilosec, etc., type pills are not ever recommended. Going to a doctor is always a good idea and a specialist is even better. After long voyage through doctors and home made remedies, I happened to mention heartburn to my endocrinologist (Diabetes). She said, humor me, let me test you thyroid level. Simple blood test. Sure as you know what, I had under performing thyroid. Added little daily pill for the thyroid and puff, the heartburn just disappeared. Thyroid is easy to treat and my Doc said many people go undiagnosed because there are usually no strong symptoms. In retrospect, I felt cold even on warm summer days and the hair on my legs gradually just disappeared. Never thought of thyroid disease. Hope this helps and please see a Doc to make sure you’re not having a serious medical issue. Best of luck to all. Thanks for the extensive information. my heartburn is worst when i smoke and have my period. please help me. I have it horribly right now. The acid reflux had me regurgitating redish brown contents that looked like blood and taste like acid. My throat is super soar. I can’t burp, sit or drink water without this acid coming up and burning my esophagus. So I took the Aloe Vera juice. It worked the first couple of burps, but now it’s burning again. Milk didn’t work. I am sure this is too much acid production, but since I was natural I have a crap load of apple cider vinegar. I’ll see if it works. My husband suffers with GERD first thing he did was a endoscopy. Resulted in nothing to big but the problem hasnt gone away from sine 2010. He has been taking natural remedies and it helps for a while you name it fresh papaya, ginger, and fresh aloe vera plant which helps alot. We from the caribbean islands so these things are more avaiable to source. However we saw a few doctors in the USA and they prescribe him with alot of OTC medicine Prilosec, Prevacid which only works for a bit. But makes him feel worst also ive told him to discontinue them and go back to the natural remedies. And try to maintain a cure he was to frustrated trying everything suggested trying one or two things that work and maintain it daily. He has changed his diet fully every cautious of what he eats. I just researched that persons with AB+ blood type must be extra careful with their diet and he is AB+ so we reseacrhed the food type that is good for his blood type. But what am really concerned about is his sinus h was diagonsed with Sinusitis , has anyone devvelope sinus problems while suffering from bad digestion? For years I have had digestive issues and have had sinus surgery twice, sinusitis so bad I lost 2 teeth!! Until I read your post never thought there was any connection! Recently have suffered with heartburn, the med’s just made it worse. 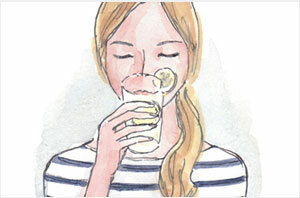 Reading here & studying HB what has helped me is…mustard…lemon wedge..sipping lemon water..gum. Best of luck to your hubby! I was diagnosed with LPR (the cousin of GERD) in September. Was in the hospital for 5 days with swelling of the epiglottis so severe that I could not breathe—ambulance, paramedics, emergency room, then stayed in for 5 days. In researching LPR, I came across symptoms for it like chronic hoarseness, post-nasal drip, sinus problems—and often a complete lack of heartburn or acid reflux. This is silent reflux and happens at night. But it can really damage the delicate tissues of the throat and even the nasal passages if reflux gets that far. I have been on Nexium for 4+ months and am working myself off of it. But, I have to say that the Nexium worked wonders for my chronic throat clearing, hoarseness, constant mild cough, and the post-nasal drip is gone. I’m down from 80mg of Nexium per day to 20mg per day. 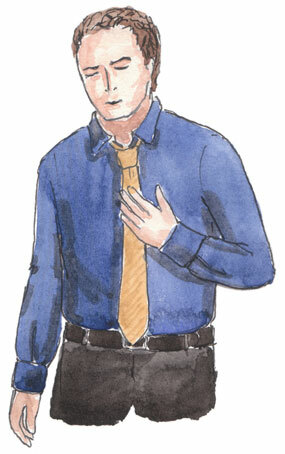 But the symptoms of heartburn and gas, which I never had before, are now bothering me. I’m hoping that this is the rebound/readjustment phase that I know comes with weaning oneself off this medicine. Nexium may have saved my life, but it’s not a medicine I want to be on for any real length of time. My hair is falling out like crazy (I’ve lost about 30% of my hair in 4 months), I’ve lost about 12 pounds (a GREAT side effect–I’m back into a size 10! ), I had a C-diff infection from the Nexium, and had significant cognitive fog (I was seriousy worried that I’d had a mild stroke, but as I wean myself off the Nexium, I am much more clear headed). My point is that there is a connection between sinus and GERD, but not only. Check out LPR. It may help. Just chewed this strawberry gum. Instant relief at first then a deeper burning sensation. So I drank just a little milk. And now my stomach hurts on top of this heartburn… its going to be a looonnnnng night. Thank you very much, I had the worst stomach acid burn around 3am ( yes 3 am ) Vegas time, after googling natural stomach acid fix , I found your site. These solutions are by far the best I have ever found. I like that it’s all natural instead of ” oh pop some pills ” an supposedly it goes away. I’m not a fan of pharmaceutical drugs. I prefer the ginger tea or I read horehound candy & ginger candy will fix it as well. Just make sure it’s all natural & not the HFCS based crap! If you don’t have ginger tea take ginger candies ( all natural ) an place them in a pot of boiling water an stir till the candies have dissolved. Pour into a mug an sip on till gone. Your a very helpful person and I thank you for that. Now back to sleep. There is a problem with one of the recommended remedies. The chewing gum showed is peppermint, and pepper mints is specifically discouraged for people with acid reflux because mint tens to relax sphincter and allow acid or acid fumes to travel upwards into the esophagus. .
I’ve always had heartburn. Even when I was a toddler and I’ve been fighting with it ever since. And I just turned 30 August31,2014. Hopefully the natural remedies will help. I only get acid reflux when I have a Candida flare up. Which is once in the blue moon because I only get it when I eat sugar, chocolates or honey. Once I have my Candida under control the acid reflux does not return. If you get regular bouts of acid reflux, the Betain, digestive enzymes plus checking for Candida and doing a cleanse if you need, should fix you for good. Bicarb always gives me immediate relief. All this has been interesting and I will look into it all more in the day. Last January I mentioned to my gp that I started to regularly get fuzzy gurgling in my throat and he put me on medication after I said I sometimes get acid reflux (he didn’t do any investigation into the reason I was getting it, is that normal?!). Been on the medication almost a year now but concerned about being on long term medication. Saltine crackers work the best for me. Sometimes I eat a whole sleeve! I’ve suffered from acid reflux for years and I’m not overweight, which I hear is part of the problem. My main triggers are coffee and fatty foods. I took nexium for awhile but it’s not good for you. My greatest discovery: natural apple cider vinegar! Drink a few tablespoons in glass of water every day. I’m actually doing it three times a day. It really works. Also, try to avoid stress, which immediately triggers reflux (well, mine at least). On a morose note, it’s important your doctor sends you to a GI specialist for a scope (I had one done a few years ago). Acid reflux can eventually cause cancer. A terrible story but someone I knew passed away recently from it. I was shocked beyond words because she was slim and healthy looking, but apparently her reflux had gone untreated for some time, which is damaging to the esophagus. Please don’t just load up on meds and natural remedies — visit your doctor to make sure everything is ok. Good luck! I was awakened tonight after Christmas dinner. The acid was literally flowing up my esophagus to my throat. It felt like a burning lava flow. I read all the above remedies, starting with the Baking Soda. I did 1/2 tsp in 4 oz water, followed by 1/2 ripe banana, followed by 1/2 tsp Dijon Mustard. Things are finally beginning to settle down. The acid lava flow has minimized greatly. I may be able to go back to bed in an hour, but I would have been up all night otherwise. The horrible pain has subsided by 90% I am so grateful. I know what caused it for me. I have been basically gluten-free for two years, and it seems whenever I stray, like I did today with Christmas treats like berry pie, Anisette cookies. After eating the Christmas treats and gluten containing foods, my acid reflux came back with a vengeance. The above remedies are calming things down. This happened 6 months ago when i partied hardy and ate glutenized treats. When will I every learn!? I have found that taking a Probiotic like Acidophilus with 1 billion organisms after every meal works.. But a Quick fix licorice or chewing gum. Cutting sugar, greasy, acidic foods out after a certain time of day helps..
All of these help me..
Also, wait 3 or 4 hours after eating before laying down. If you eat a little late in the evening, laying on an incline will keep acid reflux and heartburn at bay. I’m also a proponent of Apple cider vinegar. I’ve been suffering throughout my pregnancy and that does that trick. It’s not the best tasting thing but when you’re miserable, you’re willing to try almost anything (with in reason). My dad died of esophageal cancer. It’s a horrible cancer not to mention, the “heartburn” he endured as far back as I can remember. I thought all dads ate Rolaids. Take acid reflux serious! Especially if it’s something you get more often than not. I was suffering from severe heart burn. I tried a lot of methods from the websites.But it was not helping. What I tried is-“Do not drink lot of water after you eat anything.Wait for an or so and then drink water.Also do not eat too much at a time. Eat small amount by 5-6 times .Keep eating at usual times as you eat. Do not keep your stomach empty when you are hungry.” I have tried all these things and now I feel very good. I sincerely want to thank all of you that have commented here, I have learned so much! What has helped is lemon wedge…mustard…sip lemon water…chew gum….and no Ranitidine! As one writer stated, it helped at first…then I had to take more and more and the HBurn got worse! Even my husband, who has a hiatal hernia, is now only taking his med at night & using the tips I mentioned with success. Hello, I am 18 weeks pregnant & for the last 2 months have experienced chronic acidic reflux. It starts first thing in the day as soon as I’ve had breakfast (usually cereal & yoghurt), and from there on right throughout the day I’m having to keep nibbling on different foods or chewing gum/peppermints to clear the awful burning sensation in my mouth. Has anyone else experienced this? I’m pregnant as well but a teaspoon of yellow mustard takes it away immediately. Hi I have had acid reflux for a long time and now it is getting progressively worse where I now have to sleep sitting up because the acid reflux is like a volcano errupting leaving me with shocking heart burn pain have tried tsp of Apple cider vinegar in a glass of water but have been told be careful taking this because if you have ulcers in your stomach it can make the situation worse but it’s in the mouth I get the ulcers from the reflux I suppose so then I tried using bicarbbonate soda in a glass of water and it’s instant relief but it’s not something you can take long term so now for me I feel an endoscopy is the next step I have had them done before but they couldn’t find anything wrong but obviously something is not right because the acid reflux is really bad . I have read the posts that people have written and I thank you all for your in put cause I have just made me a list and will be doing some purchasing but before I sign off if your symptoms are like mine please see a doctor . A hot cup of Ginger tea after meals healed my stomach and cured my acid reflux! The almonds also work very well. I’m only trying other remedies because I ran out of them. I was having really bad pain in my stomach on the right side. The doc. had prescribed some medicine for type 2 diabetics I also have acid reflux well that set everything in pain. Had some updated test still have acid reflux but quit the diabetic meds. Cannot take nexium and such allergy to it. Started taking Source Naturals daily essential enzymes I am going to see what this does, I also got an pillow wedge. Will start a exercise program. So far so good. Sleeping on your left side helps soooo much! I tried the baking soda and spit it out right away. Yuck! I could handle the mustard, now i just have to see if it works. I am pregnant and trying to avoid taking any pills so hopefully i can find something that works fast! I don’t usually have heartburn, but tonight I had to get out of bed it was so bad. The few times I have experienced it in the past, I have eaten a small piece of candied ginger which I usually have on hand. Tonight it didn’t seem to work. I’ve read most of your comments, but one thing I read on another site was that eating almonds could help. I finished my almonds the other day, but I remembered I had some Almond Dream which I had purchased for the first time, just to try. So, I just drank a small glass. It’s thick and seems to coat my throat and esophagus. It is giving me some immediate relief. I’ll have to see if it continues. If not I’ll try the soda. Thanks for all the info. I have tried a lot of these, and some work to varying degrees – tea, ginger, baking soda. The one thing that works every single time for me for acid reflux is to eat an apple- I found the crisper and sweeter the better, Gala, Honeycrisp, McCoun – not Red or Yellow Delicious (too soft and mealy) or Granny Smith (too tart). I have gone to the 24 hour market in the middle of the night to get an apple when the reflux has woken me up. It’s amazing, immediate and complete relief, better than any pill. I did not have any luck with the ACV or mustard, that makes it worse for me. Also, I tend not to get reflux if I eat a lot of salad each day – I don’t cut even cut anything out of my diet, but, just add a big salad and that helps. I have tried the baking soda and IT WORKS… BUT it’s soooo gross to try to drink it down.. It was a struggle to keep from throwing it back up. Never got heartburn in my life until I started Tramacet (pain medication)! Was having heartburn all day and came here for relief, so I sucked it up and tried the mustard, worked instantly but the taste! Omg! Lol so I ate a banana right after. 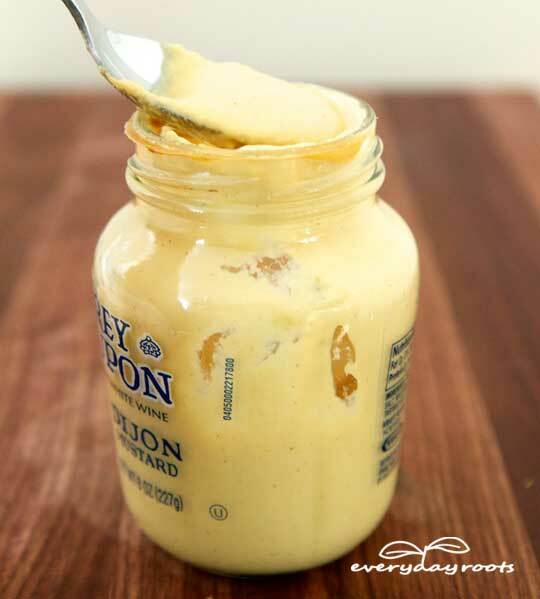 A teaspoon of yellow mustard takes it away INSTANTLY for me! I’ve bee using this method for about 6 years now. I did the cracker/mustard trick and it worked awesome. Thanks. 2:30AM! Woke up with scorching heartburn (unusual for me). I have read every comment, above, and actually have on hand much of the stuff that is mentioned. Some, like apple cider vinegar or mustard, are just too counter-intuitive for me to risk taking while in pain. I will try them as preventive maintenance tomorrow. But, this morning I opted for a half teaspoon of baking soda in about 4 oz of water. That was about 4 minutes ago. I already feel relief! I have used Nexium since it came out . Just dropped off it yesterday after finding out it caused Osteoperosis, I now have this and Drs, want me to use the drugs for that, they have some horrible side effects too . I am starting a program to strengthen bones the natural way .NO MORE ACID CONTROLLERS FOR ME!!!! Am using some of these methods for acid control. O. K. so far… Thank you all for the suggestions….. I tried the teaspoon of mustard, I couldn’t take the taste so took a sip of milk and 5 minutes later I feel great! I was literally in agony for an hr. I find that eating large meals before bedtime (w/I 2 or 3 hours) causes me to belch-up nasty stomach acids that burn my throat & mouth terribly. I normally treat the symptoms by drinking warm milk which does help the terrible burning pain. Anyone experiencing this knows how bad it becomes, you feel as though your going to die any minute and want help FAST! My best & quickest solution is to take 1/2 teaspoon of sour cream, let it slowly dissolve in your mouth before swallowing. Repeat as needed. Seems to work miracles! – sucking on a lemon!? – all of the above together! Thank you Goodall.I was searching the web for some specific information about ” heartburn home remedies”.And finally I found this mind blowing post.Thank you for sharing this nice story. In this age of Ranitidine and other medicines(which have side effects),these remedies are really helpful. I take coconut oil daily for heartburn. It works well to take it with milk or water if you don’t like the taste of coconut. I recommend Dr. Bronners brand, best I’ve tasted so far. I got it at Whole Foods. However, I do have times where I get breakthrough symptoms. I will try some of these remedies. Thanks! i have lived my entire adult life with heartburn. After quitting smoking five months ago and have gained some additional belly fat, I started to wake up at night choking on the nasty acid reflux. Only after making a complete change on what I eat and started to exercise I got better. In other words : the best remedy is a complete change on life style. Hi I suffer from acid reflux and my doctor prescribes lansaprole which sometimes doesn’t work. I tried sundried pineapple one night for heartburn/indigestion and it worked and you may want to try it yourself. How does eating an apples help acid reflux? I suffered from “heart burn acid reflux” for almost a year. severely!!! I went to the ER at least 3x because the pain lasted 2-4 hours. Until the last time I went to the ER they took an ultra sound and realized I had Gallstones. Please don’t waste time if you have these symptoms! Request an ultra sound ASAP otherwise they’ll never figure it out and just keep prescribing pills that u don’t need. The same thing happened to my sis in law. Get an ULTRSOUND for confirmation. Now I live a normal life again getting my gallbladder removed was the best thing I could have ever done. wow even two bananas a day also worked 🙂 m so happy and mint chewing one was just awesome !!! Baking Soda and water!!! Trust me on this. It works. Make sure that you can taste the baking soda when consuming. If you can’t, add more baking soda, but I recommend adding a teaspoon in 1/2 glass of water to start….I keep a small box of baking soda at home and at the office for those unexpected blasts of pain…. I have severe acid reflux problem for 7 years.al reports are good.endoscopy is fine.doctor told me that there is a bit swelling in stomach, but it is due to spicy food which i rarely eat.This problem is not fixed permanently.I tried almost every medicine but no luck.dont know what to do.fed up with this problem.please suggest. I get horrific heartburn that typically ends in me throwing up from the pressure at the back of my throat and the pain. My is caused by medication that I have to take. It doesn’t always happen, but when it does…. Dear god… I try every single home remedy I have found and nothing helps :'( I just tried the mustard tonight and it’s kind of helping. Not really though, fighting back throwing up still. Hi I have severe GERD but my symptoms are chronic chest pain (like having a heart attack) and an unbearable back/muscle pain in the right shoulder. Should I try any of the above too? If you aren’t sure what is causing the pain, it’s a good idea to double check with your health care professional that it is indeed caused by GERD. Best of luck! 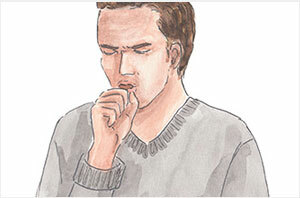 I have had nausea and reflux since I was on antibiotics for pneumonia last October. The protonic don’t really help. It’s somewhat better since I started taking probiotics. I tried the apple cider vinegar and that made things worse. Has anyone else experienced the persistent nausea? I’ve had all the standard tests and the doctors don’t have any suggestions other than saying they’re puzzled, which doesn’t help me. I have hiatal hernia, for which I have high acid reflux. My doctor prescribed me omeprazole in past but the acid reflux got worse so he moved me to Nexium 40mg. I’ve been on meds since 2007 and recently on CNN reports regarding acid reflux meds, they mentioned high risk of kidney failure from proton pump inhibitors. So I want to get off of meds for acid reflux for good and never have to take it again. What should I do to cure acid reflux issue the natural way, where there is no side effects? Just stumbled on your site while looking for heartburn relief due to chemo. I am sipping some chamomille tea while nibbling on a gingersnap and a little unsweetened applesauce. The applesauce seems to help. The gingersnap felt like it burned in my stomach so I did not eat any more of them. The chamomille tea is also a bit of a relief. I just had some really bad troat heartburn and I read online to drink some water then chew gum for 30 mins and it worked!!! I was surprised!! Woke up at 2am with a feeling of bloating so I knew what was next – pain. Sometimes is it so severe that I can’t relax my back muscles, they get stiff and I almost can’t breathe. I don’t know if it’s the 400mg ibuprofen or the teaspoon of vinegar with a bit of orange juice but the pain is gone! This is the first time I am trying the vinegar relief and so far it really helped! i have had lots of stomach problems all my life. after yrs of rx for gerd etc. what i do now is i green juice almost everyday and at nite i take calcium/mag before bed and i have Nappa cabbage in fridge washed so when i get gerd i just eat about 1/4 of leaf of that and it stops the gerd. i don’t do any acids it make my stomach worse. I have been diagnosed with chronic gastritis. I am in the low/healthy weight range for my height and I am 37 years old. I have had heartburn and acid reflux and gallbladder issues since I was 14. Gallbladder removed at 26. I also had H Pylori once but it was treated. I have a small hiatel hernia. The proton pump inhibitors work, but I understand they are not good for you. I have tried a variety of remedies here is summary of what I can and cannot eat as maybe it will help someone else. I can not tolerate any dairy. Kefir makes me really sick and so does yogurt/milk. Apple Cider Vinegar and lemon water makes the pain really worse and if the pain has been gone for a while either of those will bring it back. Apples and bananas both make me stomach burn. Cucumbers, bell peppers, onions, and tomatoes will also irritate my stomach. The baking soda remedy made me feel like my stomach was going to explode. I was so worried I contemplated going to the ER but it eventually subsided after lots of gas. Sodium is problem for me, too though so Baking Soda is maybe not a good idea. Ginger tea makes me nauseated which is unfortunate bc it helps many with nausea. Chewing gum makes me bloated bc of air and it hurts my jaw (TMJ). I can only drink decaf coffee occasionally – I cant have caffeine, fruit juice, tea or anything carbonated. I do well with root vegetables such as potatoes and carrots. I can drink Dandelion root tea, but not tea made from leaves. Leafy greens are very hard for me to chew and digest so i got a nutribullet and just blend them up and drink them. Usually with a pear. I can’t tolerate apples (it is the pectin, i think) but pears are usually okay – thankfully. Also, figs and dates dont seem to bother me. Oatmeal and saltines are pretty gentle. I can not eat any fried foods or pasta. Soy and Almond milk work fine for me and I can usually eat nuts in moderation. It is really tricky to determine if the food is causing the pain or if my stomach is so irritated ANY food would hurt. Sometimes even WATER comes back up my throat. I have the head of my bed resting on two bricks so it is elevated and I think this helps. I have no idea what causes any of these issues and neither does any doctor. – My diet is healthy and I rarely eat processed food except for saltines and occasionally canned chick peas, as they do not hurt my stomach. I hope this list maybe helps someone else who has not found a home remedy that does not aggravate their stomach. I understand stress is a factor and I do yoga class once a week with deep breathing and meditation. I also walk frequently as I read exercise is beneficial for stress. I have overhauled my diet many, many times and I do not smoke or drink alcohol. Good posture helps bc if i slouch forward my hiatel hernia area gets sore. Sometimes the answer is not straightforward and despite doing everything you know, the pain will not alleviate, you just have to learn how to manage it. Best to everyone. 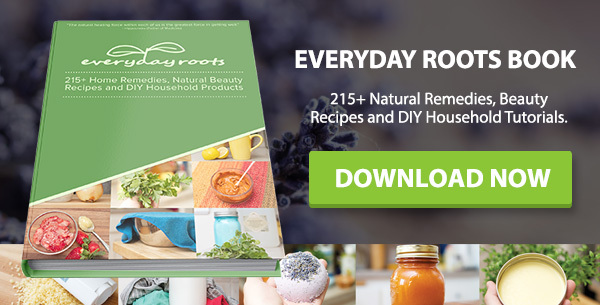 Everyday Roots is intended for informational purposes only. Our site contains general information about medical conditions and treatments, and provides information and ideas for, but not limited to, natural and home remedies. Everyday Roots makes no claims that anything presented is true, accurate, proven, and/or not harmful to your health or wellbeing. Our website is not and does not claim to be written, edited, or researched by a health care professional. Any information on or associated with this website should NOT be considered a substitute for medical advice from a healthcare professional. If you are experiencing any form of health problem, always consult a doctor before attempting any treatment on your own. Everyday Roots will not be held liable or responsible in any way for any harm, injury, illness, or death that may result from the use of its content or anything related to it. Viewers assume all risk and liability associated with the use of the content on our site, and must agree to our terms and conditions. Please note that the below information is designed to provide general information on the topics presented. It is provided with the understanding that the expert is not engaged in rendering any medical or professional services in the information provided below. The information provided should not be used as a substitute for professional services.